First published in 1982, this study attempts to put contemporary Caribbean development into historical perspective. By first constructing a Marxist framework for the study of development , Jay Mandle assesses the reasons why the region emerged underdeveloped and evaluates post-world-war two efforts to overcome the legacy of poverty through a strategy of "industrialization through invitation." 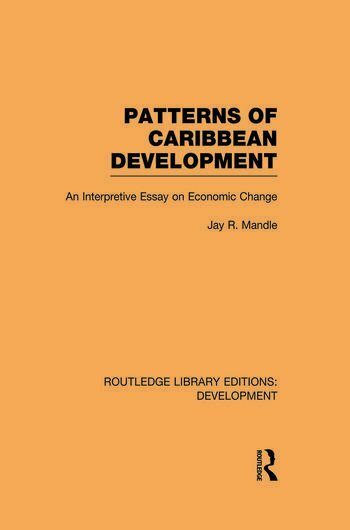 Identifying the reasons why a Marxist framework yielded results which were unsatisfactory, the author then explores the requirements which must be met for a more reliable study of the Caribbean’s economic development. Case studies of Cuba, Jamaica, Guyana, Trinidad and Tobago examine the extent to which these requirements have been met.